Heading out to New York City soon? We share a few of our tips + tricks on landing tickets for our faves in live theatre, comedy and music. It's best to get yourself organized ahead of time as the best shows tend to sell out quickly. But if you do wait until the last-minute, there are a few deals to be had! 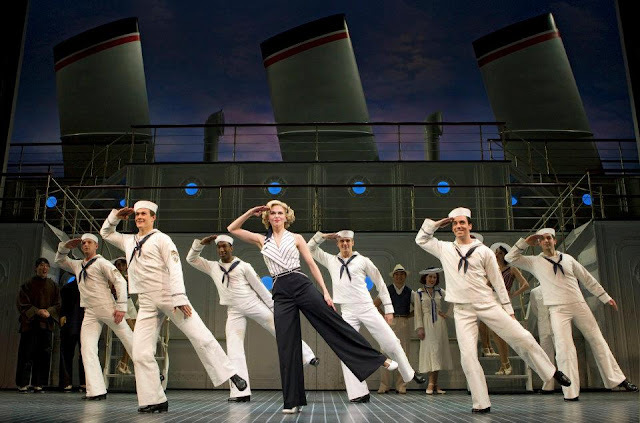 HipTix - Wanna see a Broadway Show without the heavy price tag? HipTix offers discounted theater tickets for the under 35 set. I paid only $22 with fees for a ticket to Anything Goes, regularly $70 and up. It's definitely worth checking out. 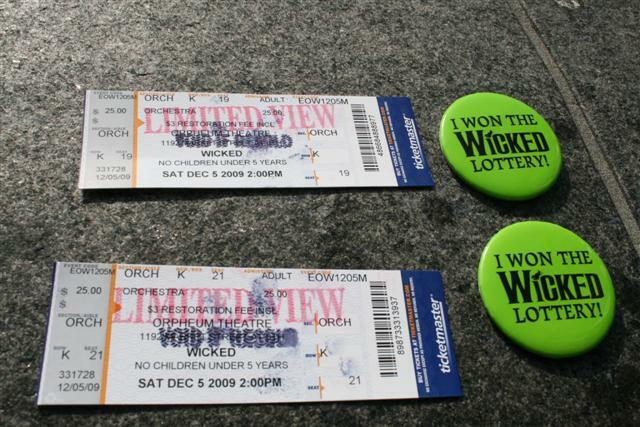 TKTS Booth - Discounted tickets for Broadway and Off-Broadway shows on the day-of the performance. Discounts range from 20-50% with a $4 service charge to benefit the Theater Development Fund. 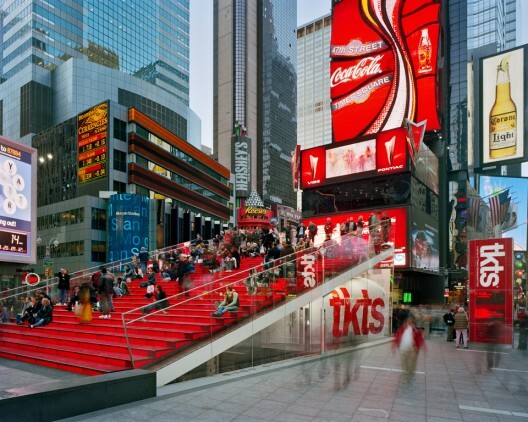 Look for the big red staircase in Times Square, the TKTS booth is just under that with a long winding line-up in front of it. 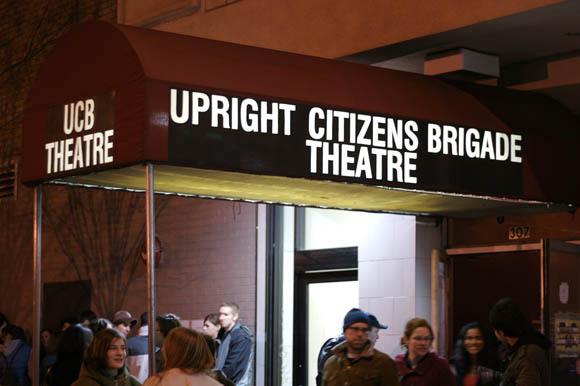 The Upright Citizens Brigade - See amazing improv from only $5! Some days Amy Poehler (one of the founders) and the cast of Parks & Recreation will even show up. UCB programs a full seven day comedy calendar. Certain performances accept reservations and you pay cash at the door. Others are first-come, first-serve. We hit up Maude night and it was two different improv comedy teams performing a series of skits in competition with each other. Yes, there's also a bar. If you can get in on a Sunday night and catch an Assscats show, then you might be lucky enough to score a special improv guest. Expect a line-up and a sold-out show every night. 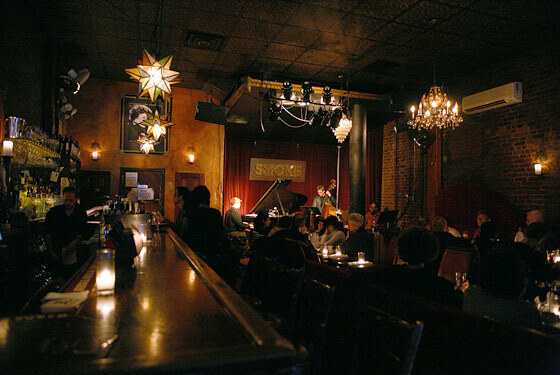 Smoke Jazz Bar - Watch a live 16-piece Big Band over a cocktail or two at this upper west side lounge. The line-up changes nightly and the Smoke Big Band plays at least once a week. No cover for most events, $20 minimum does apply. Chicago City Limits - A live improv show with audience participation. The three-person troupe we saw created a series of skits from audience suggestion and played various improv games to create an entertaining sketch show. Cover + two drink minimum. All-ages friendly. It's a small theatre, so book ahead. Rush, Student & Lottery Tickets - Get yourself in line on the day-of performance at least two hours prior to curtain and drop your name in the hat for a Broadway lottery ticket! You have a chance of winning a pair of decent (usually front row, boxes or orchestra seats) tickets to a hot show for less than $40, usually even $25. Each theatre/show will have different times, rules and availability for their lottery. Most theatres do run them, some even offer standing room and cheap last-minute rush seats, so check ahead to see who is giving away what. 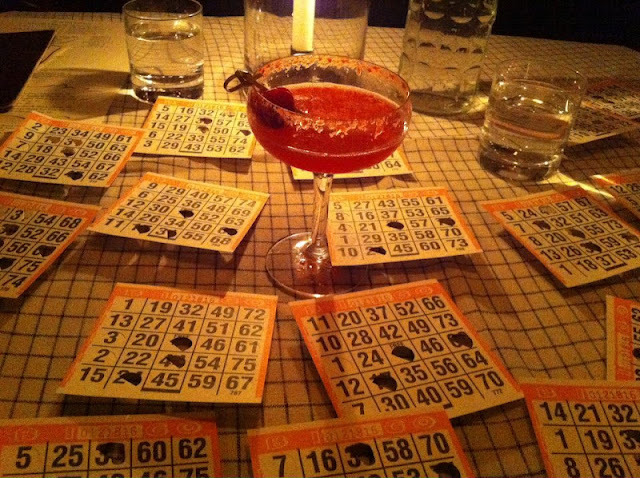 Not Your Everyday Bingo @ The Standard Hotel - How do I even begin to explain BINGO at The Standard? Ok, first of all this ain't your Grandma's kinda bingo. We're talking dancing on the tables between calls, punch bowls of booze with ten straws sticking out, 'balls' karaoke, dancing, singing and oh ya - there's bingo in-between all that. It's like hipster camp, bingo and a dance party all rolled into one. Best to go with a big group, call ahead for a reservation because it DOES sell out. Minimum $25 spend per person on food/bevvies for bingo.